Note, while I'm talking about the libcom collective, this post is written in a personal capacity. In November last year, a regular libcom site user who we had given access to post on our Facebook page, posted some anti-Bolshevik inter-war propaganda posters to the page. Many of the posters from this period, by showing communists as rampaging giant skeletons etc., inadvertently make communism look pretty ‘amazing’. However there are also several which reproduce anti-Semitic imagery which is still in use today, and one of these was shared, describing it as ‘awesome’. This was picked up on twitter, initially by a handful of people from ‘tankie twitter’. They proceeded to describe us as anti-Semitic, and tied in the sharing of that anti-communist imagery with Stalinist narratives of the strikes, factory occupations and uprisings in the USSR and satellite states (such as in East Germany ‘53, Poland and Hungary ‘56 and other events) as CIA plots and pogroms organised by undercover ex-Nazis. Our initial response to this, which continued for at least two weeks, was to treat these as bad-faith complaints by people opposed to the libertarian communist aims of the site. One prominent critic later turned out to be a known abuser, who deleted their account after their previous account was revealed, and had been smearing almost any non-Stalinist as anti-Semitic for months. So in at least one case, the criticisms were actually in bad-faith. However, in the process of reacting defensively to those call-outs, we minimised the actual and potential harm of the original post. There is also a long history of ‘centrists’ smearing the left as anti-Semitic, for example due to any criticism of Israel’s occupation of Palestine. The post itself was not a nuanced, defensible presentation of those images, the tone was flippant and didn’t really justify the reason for sharing them. Therefore it left itself open to use both by left anti-semites, and the right as an example of left-anti-semitism. As we continued with a cycle of quote-tweets and accusations (“tankie smears” from our side, “anti-Semitic” and “liars” from the other), after a few days we started to get criticism from other comrades on twitter, reacting to the doubling-down and pointing out that the original post shouldn’t be defended. We were also having internal discussions throughout, since the user who had posted the images had made other posts on our Facebook page in the past that at least some of us didn’t feel matched the aims of the site. In the end, we published this short apology on our twitter and Facebook accounts. As mentioned in the apology, we took the additional step of removing access from the facebook page from the user who’d posted them, as well as other reposts of the Charnel House blog where they’d originally been sourced from. As a result of that approach, even some of the most prominent ‘tankie’ critics have continued to engage with us since this episode. This may be critical engagement in most cases, but much more of it has been in good faith than it otherwise might have been, and would not have been possible if we’d just blocked everyone calling us out. We don’t have a no-block policy, we regularly block obvious fascist accounts, and have blocked at least one account (after engaging for several months), but in this case specifically, despite the nature of the accusations and failings in our response, we ended up in a place where neither we nor those piling-on were discarded. Much of the discourse around ‘twitter pile-ons’ talks about disposability, that people are just waiting for one wrong word to write people off forever, that calls for accountability and for people to do better are themselves ‘maoist self-criticism’, ‘authoritarian’ etc. While there is often ‘performative outrage’ from liberals on twitter, much more dangerous is the conflation of criticism and abuse used by people across the political spectrum to shut down disagreement when people are genuinely angry, upset and hurt. People often receive vitriolic anonymous abuse at the same time as good faith criticism, but the existence of one should not erase the other, in either direction. If we want to pursue a transformative, emancipatory politics, then we need to find ways to be accountable to each other for the mistakes and harmful actions that we make over time. Those who dismiss community accountability and attempts at transformative justice as ‘authoritarian’ are instead asserting their unassailable authority as arbiters of which approaches to criticism and self-reflection are acceptable, often from positions of relative power in the movement. This week has also seen a moral panic amongst British MPs about ‘anonymous internet abuse’, once again conflating the vicious racist abuse received daily by figures such as Diane Abbott with people being rude to MPs after they’ve voted to cut services or deport immigrants. We run libcom.org anonymously, because we want it to be a platform for advancing libertarian communist politics rather than any of us as individuals. Many comrades on twitter have anonymous or semi-anonymous accounts to avoid doxxing by journalists, disciplinary action from employers, or targeting from fascists. However that anonymity does not mean that all these accounts are used for ‘anonymous abuse’. While we may not know people’s faces and names, many on our timelines talk about their personal experiences of life under capitalism, the struggles they’re involved with, their experiences as survivors, their mental health. Many of these discussions would be impossible to have with an identifiable account, and rather than a dehumanised anonymous mass, instead twitter allows us to get to know each other with some degree of intimacy over time, an incomplete picture but no more or less incomplete than many in-person interactions. In addition, due to the fragmentary nature of much discussion, it’s also happens frequently that you’re talking to someone about something you agree on or share a mutual interest in, then find out they’re a Trotskyist/Tankie/Social Democrat later on. As such, even people from rival political ideologies are (sometimes) humanised by this medium. 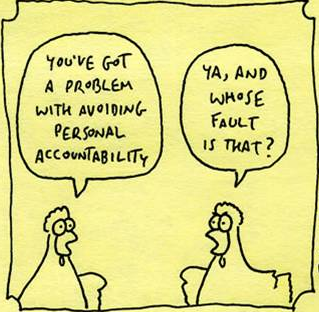 I’m writing this because there are failures of accountability in all organisations. While most individuals have good intentions, there is a reluctance to talk about it when things go wrong. Both due to the social consequences of criticising people (especially when they have more social capital than you), and because of the risk of ‘damaging the project’ either reputationally or by losing contributors. When people often spend years of their life building organisations and platforms, often in marginal circumstances, this is understandable, and a trap we can all fall into. However we often fail to acknowledge that this reluctance to address issues has severe social consequences for those harmed by our action and inaction, and that people get alienated from our projects as a result, often silently. A few reasons not to organise on Facebook. How do you find our use of social networking? If you were not sure yourself whether it is acceptable to post antisemitic pictures (justifying it because of the ironic lulz, or love for modernist drawings of skeletons or whatever), and apparently only caved in after much outrage to remove the pictures, then an attempt (if there was one) to "have a conversation" with that person would not have much chance to work out. Perhaps you sensed that and that's the reason you immediately went a step further by withdrawing the person's access. Or if you already withdrew their access, then it'd almost become pointless to still have to do a conversation. If you were not sure yourself whether it is acceptable to post antisemitic pictures (justifying it because of the ironic lulz, or love for modernist drawings of skeletons or whatever), and apparently only caved in after much outrage to remove the pictures, then an attempt (if there was one) to "have a conversation" with that person would not have much chance to work out. I forgot a detail when writing the post up which is sort of relevant to this. We actually agreed pretty early on about removing the facebook posts. We took down the posts from twitter (where truncated descriptions really didn't help) and fb, and disabled integration between fb and twitter around the same time. However we didn't issue an apology at that point, just removed them. However our 'tankie critics' had already screenshotted them and continued to call us anti-Semites on twitter, so we continued the twitter beef for some time (and people didn't necessarily realise we'd taken down the posts, because we didn't announce it). Some time around this was when more people got dragged in, and that was when we posted the apology. I think (and the apology states) that there can be ways to discuss that imagery, especially since the imagery gets recycled, and there's a renewed level of red-baiting combined with anti-semitism in society the past few years - but sharing ironically is not one of those ways. This doesn't really change the substance of the post, but it didn't require a campaign to get the pictures taken down and we didn't dig our heels in to leave them up, and yet there was still a massive row on twitter for a couple of weeks (which did in fact stop after we posted the apology, more or less at least).